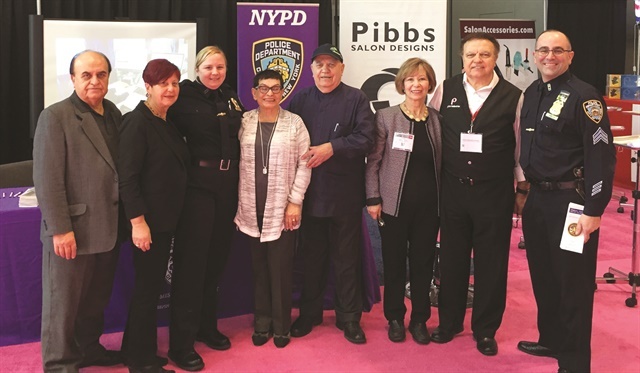 NYPD train cosmetologists to recognize visual and verbal signs of domestic abuse. when they suspect a client is being abused. “We believe cosmetologists have a unique opportunity to identify telltale signs during interactions with their clients,” says Sgt. Frank Maiello of the Chief of Department’s Office, Domestic Violence Unit. The NYPD is supporting a state bill that would require licensed cosmetologists to get training every two years on how to recognize signs of domestic violence. This training would apply to each owner and employee at the more than 10,000 salons and spas in New York City.